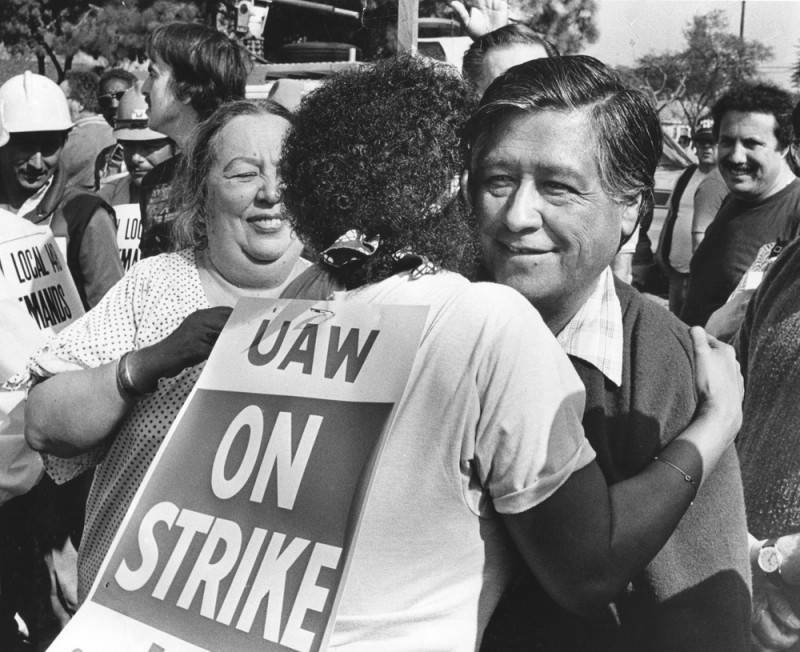 Home L.A. History How Well Do You Know Cesar E. Chavez Avenue? 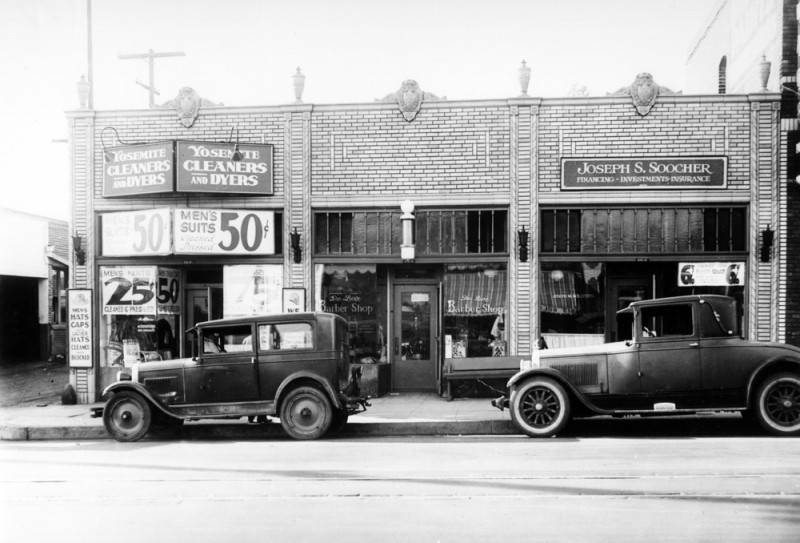 Extending just more than six miles from downtown L.A. to Monterey Park, Cesar E. Chavez Avenue threads itself through East L.A. as one of the oldest streets in the city. Much of it was originally named Brooklyn Avenue, a nod to the booming borough back East. Local lore suggests that developers christened it in the late 1800s to attract New Yorkers. The renaming occurred in 1994, less than a year after Chavez’s death, to honor the union leader who had fought for farmworkers’ civil rights. 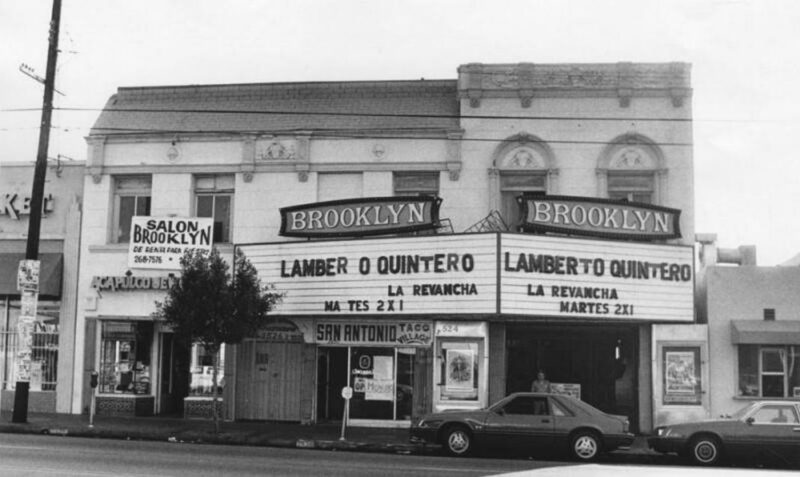 If you had strolled down the avenue 90 years ago, you could have caught a film at the Brooklyn Theatre, a movie house that operated from 1925 until 1985. Or you could have dined at the original Canter’s Deli, the landmark eatery that relocated to Fairfax in 1948. Brooklyn Avenue was at one point the heart of a working-class Jewish enclave; merchants protested the name change for fear that it would wash away the area’s rich history. Today signs along Cesar E. Chavez include the old name to ensure that the street’s past is not forgotten.